Dedicated to helping locals and visitors alike enjoy the unique wonders of New York City, Classic Harbor Line hopes for the privilege of escorting you on a relaxing, inspiring, and breathtaking cruise through the waters we proudly call home. 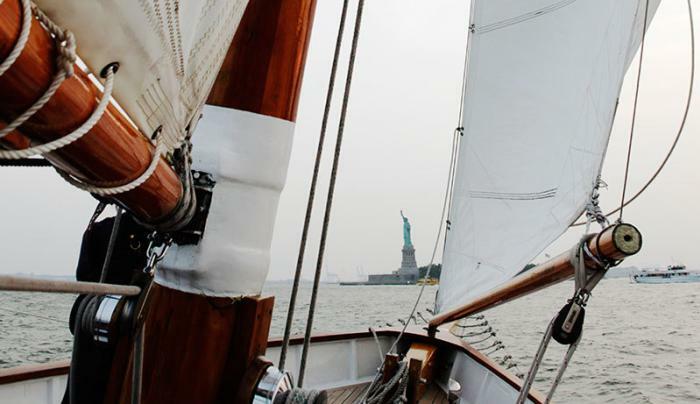 Our five classic yachts — the Schooner Adirondack and the Schooner America 2.0 (our sailboats), and the Luxury Yacht Manhattan, Yacht Manhattan II and the Yacht Kingston (our motorized yachts) are reminiscent of the classic boats that cruised the NYC waters in the past two centuries. Whether buying tickets for one of our New York Harbor sightseeing boat tours to cruise out to see the Statue of Liberty, or privately chartering one of our large sailboats or motor yachts for an office outing, you are sure to find yourself on a beautiful boat, surrounded by warm and friendly service, plying through the majestic New York City waterways.We offer a wide range of ticketed sightseeing boat tours in New York City. 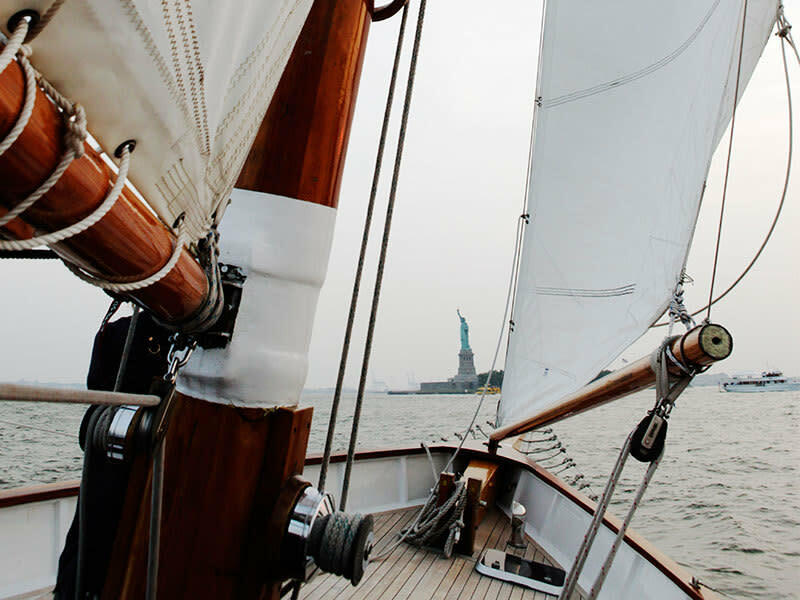 Whether you are a fan of the cruising on an elegant motor yacht to see the entire New York City skyline with comfort and speed, or if you are inclined to take a more adventurous escape on our swift, double-masted sailboats, you are sure to find a cruise that will suit you with service that treats you like royalty.